You may have heard “Litecoin”, “Ripple” or “Ethereum” tossed around in conversation. If not, you’ve certainly heard of “Bitcoin”—the most popular of virtual mediums of exchange, known as cryptocurrencies. Over the decade since their inception, these digital monies have taken the finance world by storm. The global frenzy for cryptocurrencies like Bitcoin has in part to do with their lucrative returns, but perhaps even more so to do with their revolutionary decentralized nature. Cryptocurrencies transfer money through a “peer-to-peer” network—whereby transactions take place between users directly and without financial intermediaries like central banks. In other words, people can now make payments without having to go through traditional financial regulators. Cryptocurrencies initially proved popular amongst crowdfunding initiatives, but began to traverse into the field of political finance in 2014 with a Swedish politician. He was the first to incorporate cryptocurrencies into politics, pioneering an iconic, bitcoin-only electoral campaign for a seat in the Swedish Parliament. While bitcoin can’t claim sole responsibility for his victory, his radical approach to fundraising garnered massive international attention, triggering an earthquake in the world of traditional political finance. Since then, politicians around the world have been gradually hopping on this cryptocurrency craze, albeit more cautiously. In most cases, candidates accept the virtual coins on the side of traditional fundraising. Despite their increasing popularity, cryptocurrencies are still largely unregulated or banned altogether. As a technology created for the sole purpose of circumventing central authorities, it’s not surprising that governments around the world have been wary about this rogue form of financing. Nonetheless, e-currencies are continuing to gain traction, meaning that it’s becoming increasingly important for states to get a grasp on them. This month, that’s exactly what International IDEA set out to do: spearhead a global debate on how to best approach cryptocurrencies in the realm of political finance. 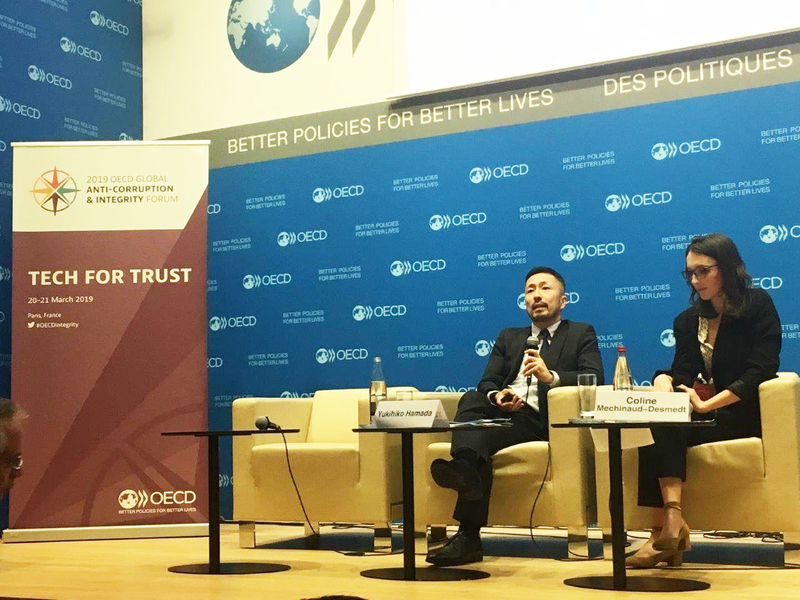 During the the OECD’s annual Global Anti-Corruption and Integrity Forum, International IDEA, in collaboration with the United Nations Office on Drugs and Crime (UNODC), provided an extensive overview of cryptocurrencies’ policy implications. Focusing, first, on how the infamous e-currencies could impact political finance regulation, thereafter, how governments themselves might best utilize them. The discussion highlighted that cryptocurrencies pose several challenges for political finance, especially for legislators and oversight agencies. Although most cryptocurrency types are only semi-anonymous, there are a select few that allow for almost full anonymity. This grants political donations the ability to bypass regulation, including legislations controlling for unwanted anonymous, foreign and corporate donations. The difficulty of regulation is further convoluted by the ambiguous definition of a cryptocurrency. Defining whether a cryptocurrency transaction should be considered an “in-cash” or “in-kind” donation has greater implications on how they’re regulated. Beyond these broader oversight issues, the profitability of diverse cryptocurrency stocks has proven grossly erratic and unpredictable. What’s more, given the unclear definition of a cryptocurrency, donations have been hard to appraise and, thus, utilize. On the flip side of the digital coin, cryptocurrencies hold a great deal of potential, if properly regulated. If cryptocurrencies were programmed to meet the needs of the state, they could allow for unprecedented levels of transparency in, and control over, political spending and donations. The transformative potential of cryptocurrencies lies in its blockchain technology—a publicly distributed decentralized ledger that keeps virtual records of all actors’ finances and completed transactions. If a currency were to require the identification of these actors, this open and distributed system of ‘record keeping’ could radically improve the reliability, security and verifiability of the fund-raising system. This could revamp aspects of anti-corruption work that have been notoriously intractable in the past—such as, eliminating payments from illicit actors. A cryptocurrency programmed to be more transparent could also make the process more efficient, by cutting out the financial intermediaries who impose fees on every transaction. Accordingly, countries around the world have begun developing their own version of the crypto-capital, or have at least started to experiment with donations of this type. holding consistent party dialogue at all levels of governance. Potential regulations should ideally be debated at both the national and international level, including all affected parties, so as to ensure that these technologies are open and enhance transparency in the discussion of money in politics. Read the report: Cryptocurrencies and Political Finance. Alexandra Cooper serves as an intern for the Political Participation and Representation Programme. Yukihiko Hamada is a Senior Programme Officer in the Political Participation and Representation Programme.